Glacier travel can be a very fun and rewarding way to spend your time. However, glacier travel and a lack of education should never go hand in hand. 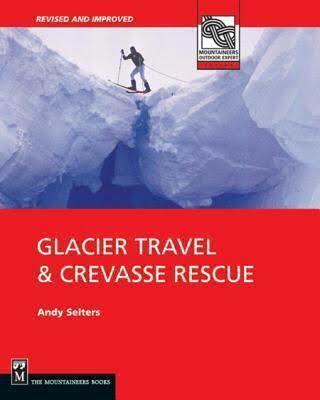 Not designed to be a replacement for any safety courses, but instead a supplement for your knowledge, this book is a wonderful refresher for any questions you may have about getting something out of the deep end of the crevasse. An excellent comprehensive treatment of a specialized yet important topic for ski mountaineering. But from a ski mountaineer’s perspective – well, that’s the problem, it just isn’t. Many pictures show rescuers with ski boots, but the book definitely isn’t written with the skier in mind specifically (except for a very short passage). Almost all in-the-field training courses on glacier travel and crevasse rescue suffer from the same problem, assuming that you’re already carrying all sorts of climbing gear that you would never be carrying if all you want to do was skin up and then ski down a glacier. From a skier’s perspective, the Volken et al. 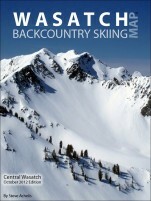 “Backcountry Skiing” book rendered this book unnecessary. But this book still has a place in any comprehensive ski mountaineering library.